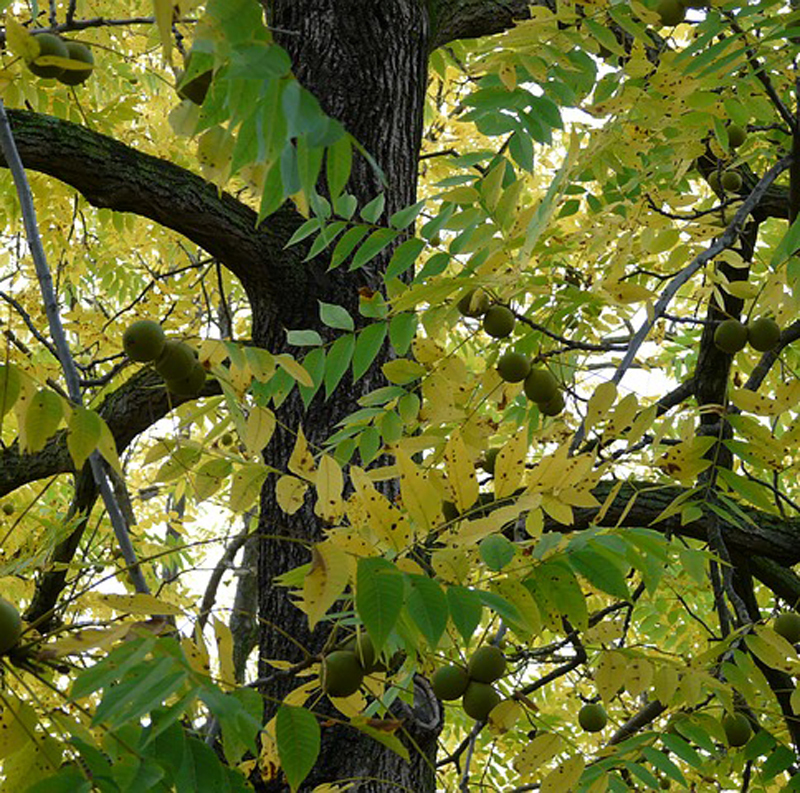 Black walnut (Juglans nigra) is a large deciduous tree with long trunks, often with an absence of lower branching. 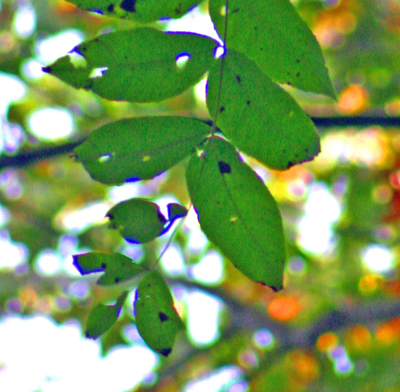 Leaves are strongly aromatic when crushed, late to emerge in the spring, and early to drop in the fall once yellowed. Yellow-green flowers blossom in late spring which produce nuts encased in yellow-green, slightly hairy husks which hang in drooping clusters of 1-3. The wood from J. nigra is highly valued for a number of commercial uses including cabinets, furniture, gunstocks and fine veneers. 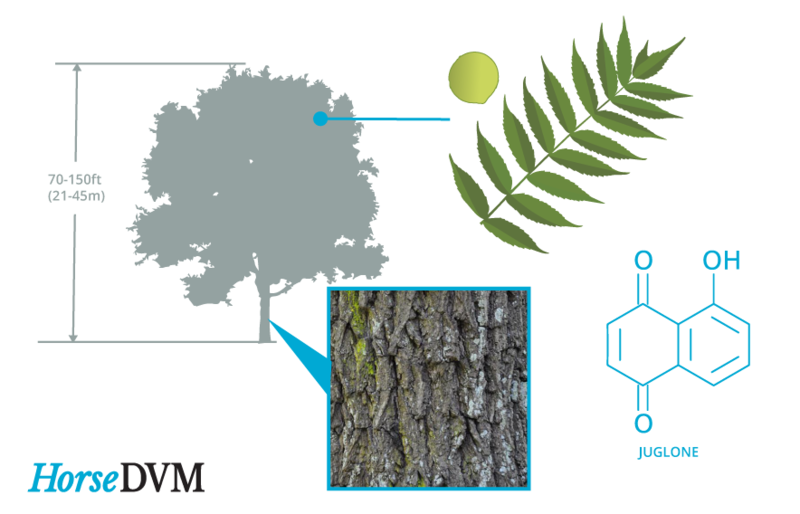 The bark, woods, nuts, and roots of J. nigra contain juglone, a compound which is toxic to horses. 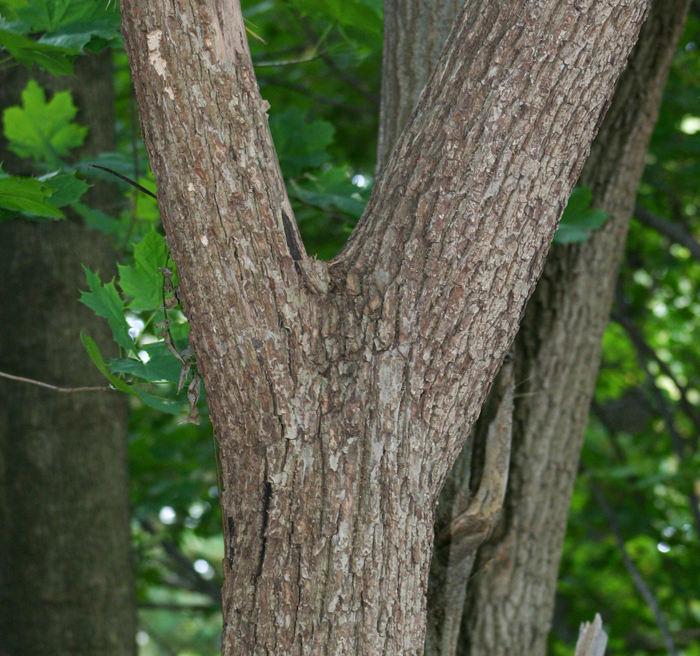 Horses are primarily effected by exposure to shavings containing parts of the black walnut tree. 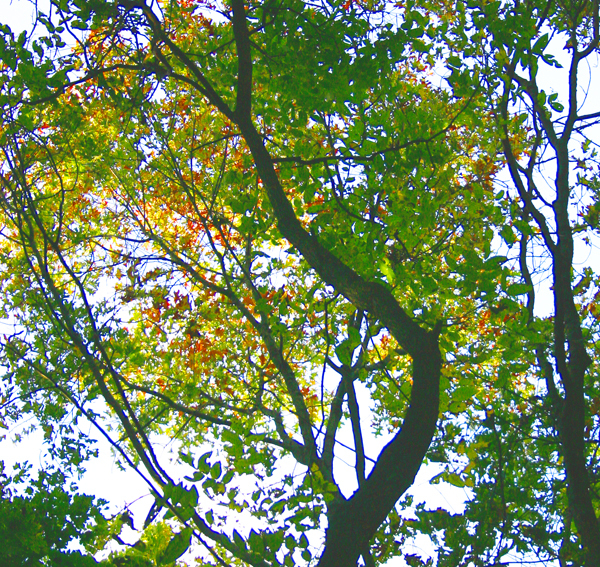 Horses can also be poisoned from ingestion of the bark, pollen, or fallen leaves. 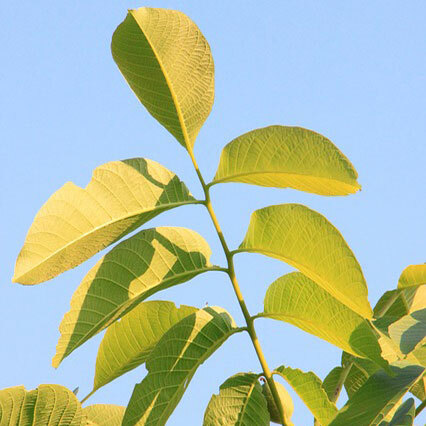 The toxic chemical responsible is called juglone, which is contained at high concentrations in the bark and wood and lower but still toxic amounts in the leaves. Symptoms usually disappear within hours after the horse is removed from the shavings; however laminitis can present further problems. MECHANICAL CONTROL: Cutting down and removing the tree is of limited help unless the roots are also removed from the soil. 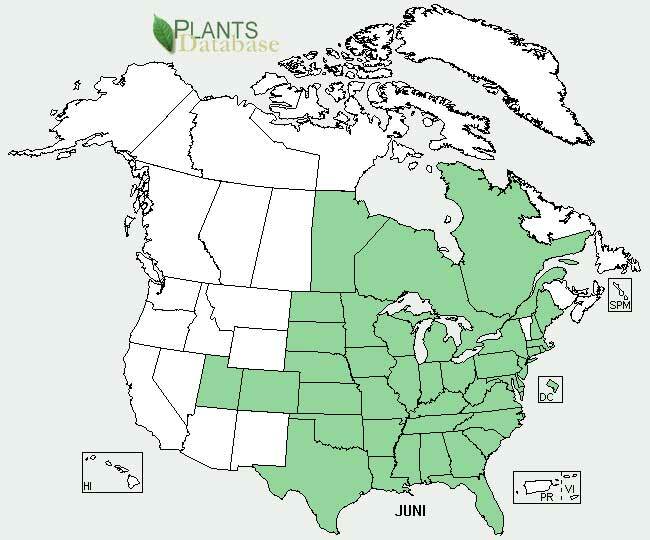 USDA SPECIES: Juglans nigra Fire Effects Information System. 2018. 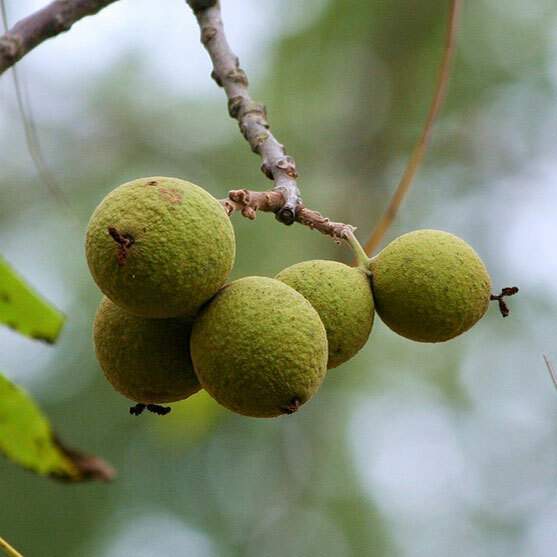 Black Walnuts - toxic trouble The Washington Post. 2014. 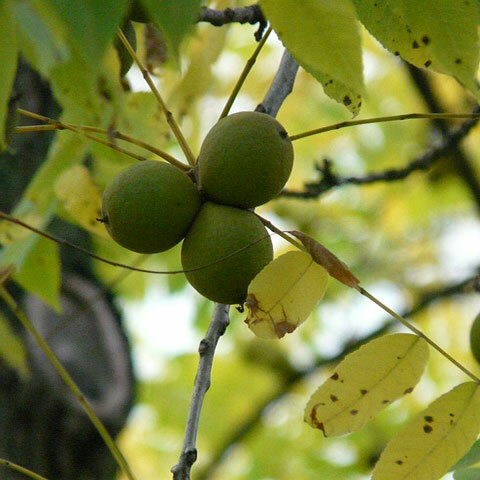 Ask the Expert What part of a black walnut tree is toxic to horses? Rutgers. 2014. Pawlak EA, Geor RJ, Watts MR, Black SJ, Johnson PJ, Belknap JK. Regulation of hypoxia-inducible factor-1α and related genes in equine digital lamellae and in cultured keratinocytes Equine Veterinary Journal. 2014. Katz LM, Bailey SR. A review of recent advances and current hypotheses on the pathogenesis of acute laminitis Equine Veterinary Journal. 2012. Leise BS, Watts M, Tanhoff E, Johnson PJ, Black SJ, Belknap JK. Laminar regulation of STAT1 and STAT3 in black walnut extract and carbohydrate overload induced models of laminitis Journal of Veterinary Internal Medicine. 2012. Galey FD, Beasley VR, Schaeffer D, Davis LE. 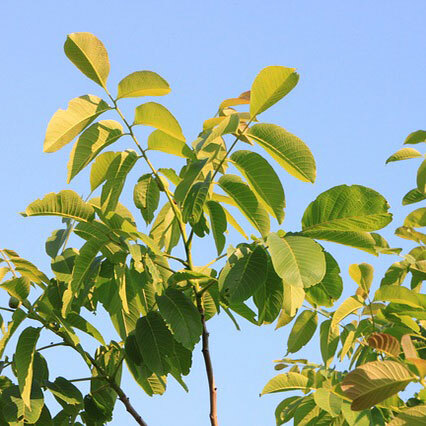 Effect of an aqueous extract of black walnut (Juglans nigra) on isolated equine digital vessels American Journal of Veterinary Research. 1990. 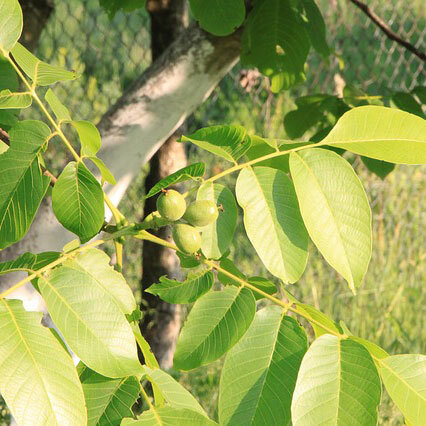 Uhlinger, C. Black walnut toxicosis in ten horses. J Am Vet Med Assoc, 195(3), 343-344. 1989. True RG, Lowe JE. Induced juglone toxicosis in ponies and horses. American Journal of Veterinary Research. 1980.